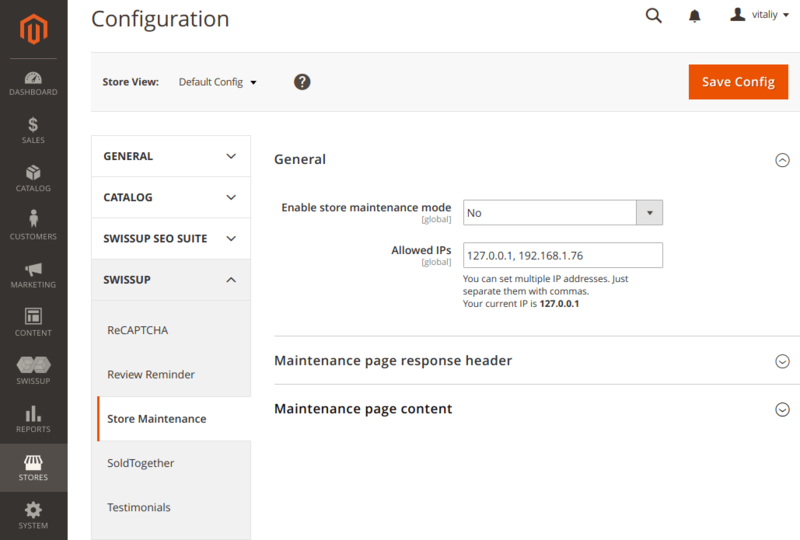 What to do with M2 Store Maintenance module to create custom 503 page? You don't love service unavailable error, right? Your customers also do. Nobody likes the time when a site needs some downtime. But even when having a website taken offline, you could put your store in maintenance mode. Informing your customers about your site maintenance, you prevent delivering a frustrating experience. Moreover, you may encourage customers to return later by setting a custom maintenance mode message. To find out how to do that please check the new Store Maintenance module for Magento 2. Read the article to discover more. How to avoid a very complicated process of adding Magento 2 maintenance mode. The answer is obvious: the Magento 2 Store Maintenance module. Using the option “Enable store maintenance mode” you can enable and disable maintenance for your store directly in the admin panel. You can also specify the list of allowed IP addresses in the “Allowed IPs” field of general settings tab. That way you will set the connections that are allowed to get past the maintenance mode and visit your store. How to put your website under maintenance without affecting search rankings. Not only visitors see an error when the server is unable to deliver the resources requested. A crawler bot may come first to the website. It should know when your site is back online to come later and make requests. That is why it is critically important to add a 503 page to prevent losing rankings. The M2 Store Maintenance provides the maintenance page response header settings. Thus you can set the predefined date and time to inform search robots about the end of active site maintenance. See more technical details. How to customize Magento 2 maintenance mode page. Perhaps you've seen interesting maintenance page examples from real websites. We've seen, too. That is a really great idea. These pages, for the most part, seemed more efficient to encourage users to come back soon. The fact is the pages included funny pictures, appealing text, and other attractive design elements. Why not customize the maintenance mode page of your store? viewing new maintenance page instantly in the admin panel. 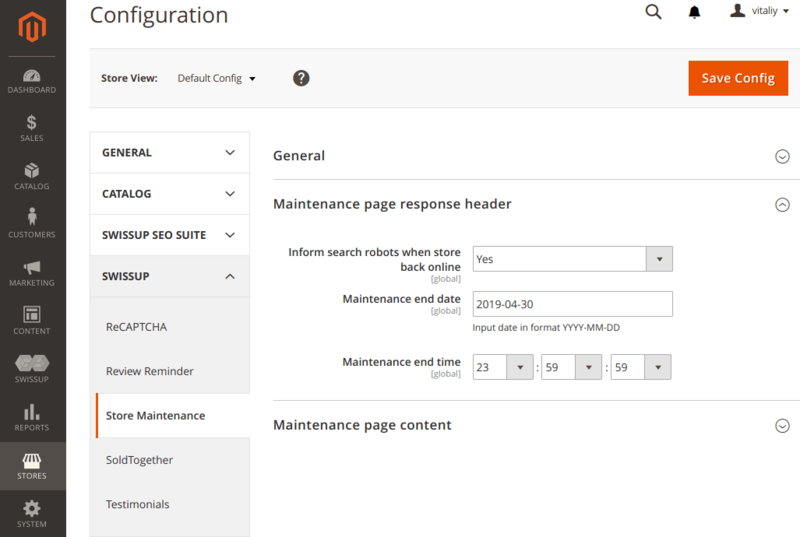 Follow a simple guide on how to customize Magento 2 maintenance mode page within M2 Store Maintenance module functionality. So, it is pretty easy to tell both to users and search robots your site will be back soon. Just create your own 503 page. You all now have access to the new Store Maintenance module. You'd better make the most of this. April 15, 2019 Roman B.